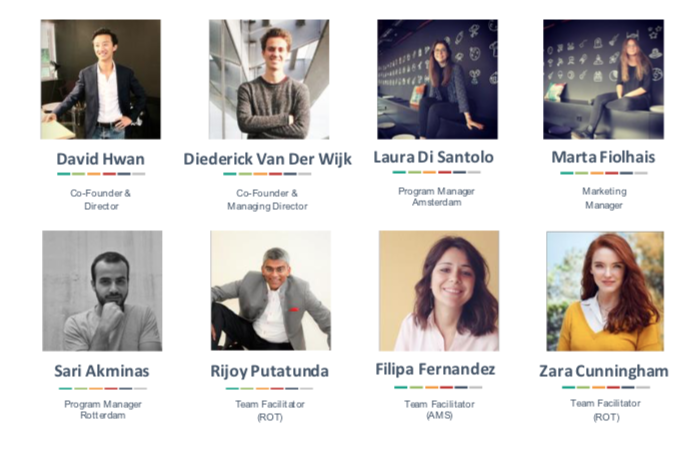 Refugees Forward has completed the closing of its first fundraising round for 2019 programs, allowing the organization to support 60 entrepreneurs with a refugee background in its incubator in Amsterdam and Rotterdam. ‘We are very happy with the continued trust of our previous sponsors Oranje Fonds, Instituut Gak, Fundatie van den Santheuvel Sobbe and Dioraphte as well as the confidence of the Municipality of Rotterdam through its Citylab010 innovation subsidy. Their support allows us to further improve our programs, expand our team and to excite new partners to join our network. This shows a lot of trust and confidence both in the potential of our entrepreneurs and of our organization’. Refugees Forward is a business incubator for ambitious entrepreneurs with a refugee background, founded in 2017 by Van der Wijk and Hwan. 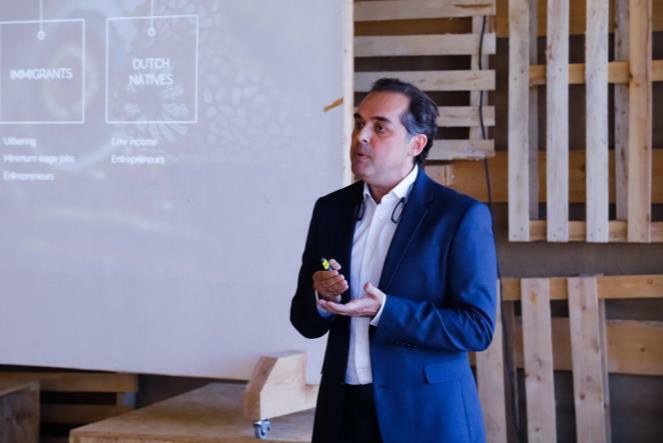 In February ’19 RF will launch two 4-month programs for 30 entrepreneurs in Rotterdam and Amsterdam. Entrepreneurs receive training, coaching by experienced entrepreneurs, support of university students and access to a network of companies and investors. The program is supported by entrepreneurship hubs like ACE Incubator, Team Academy, Cambridge Innovation Center, ECE and companies such as Mazars, DLA Piper, Linklaters, Dentons, Uber and Deloitte. So far Refugees Forward has helped 12 entrepreneurs to start their business. Together the entrepreneurs have raised over 300.000 euros in seed capital. Businesses range from real technology startups such as Elanza (platform for freelance nurses and healthcare organizations) to innovative concepts that entrepreneurs bring from their home countries such as Flexik. Entrepreneurs also focus on labour market integration themselves. 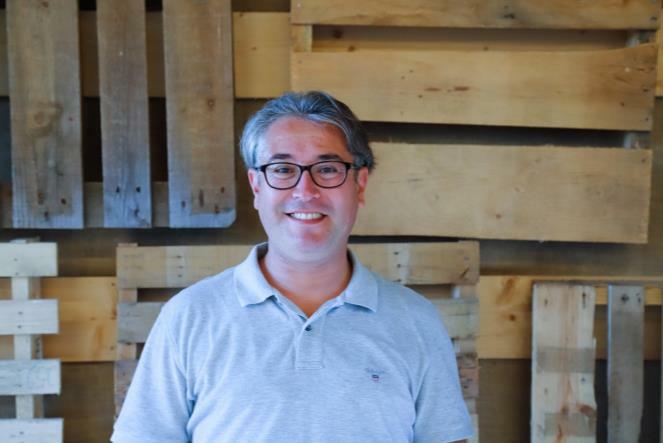 Mpowerment owner Anas Ragheb just received a first 33.000 euro grant from Instituut Gak for training and coaching truck drivers with a refugee background and Manar Aburshaid is launching voice-driven job search with hoooop.nl. The Refugees Forward incubator in Rotterdam will be managed by Syrian Sari Akminas. Refugees Forward expects to close another €100K in subsidies from other philanthropic funds over the course of 2019. In 2020 RF seeks to expand its operations through the opening of a 3rd and 4th branch, become the main institution for refugee entrepreneurship in Western Europe and to support 200 entrepreneurs by the end of 2020. 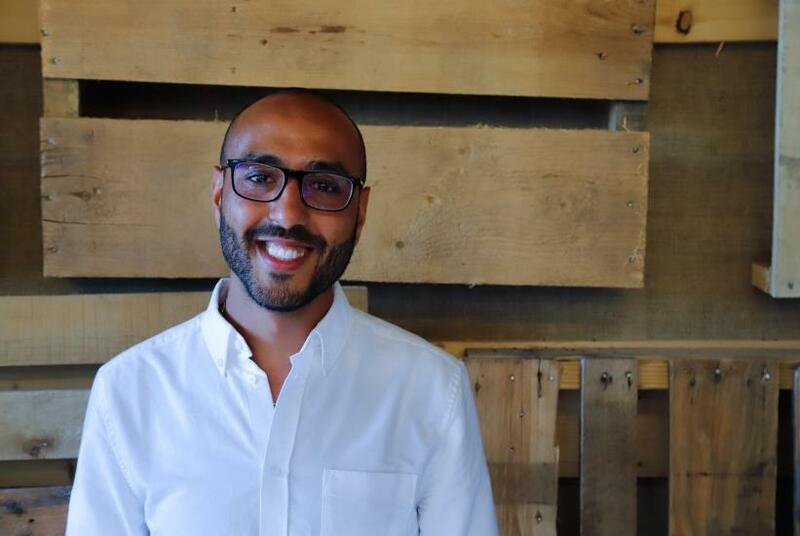 Through his innovative platform Elanza, Shadi connects Dutch nurses to healthcare institutions. By doing so, he and his team increase efficiency in the healthcare sector, improve working hours for nurses and enlarge their profit compared to the current recruitment agency systems. Shadi received an €80.000 seed investment through Refugees Forward, and has now recruited over 30 nurses to register on the platform. Visit www.elanza.nl to see the beta platform. As a former talent developer, Anas decided to certify blue-collar workers with a refugee background through his social enterprise Mpowerment. His current focus is on training truck drivers, who after certification (theory and practice) will be employed for at least a year. Former CEO of a company with 200 people in Syria, Manar and his team of 2 people launched the app “Hoooop”, empowering immigrants and illiterate people to find jobs in their region, all by making use of their own language. Through a smart interactive voice and speech app, Manar helps the Dutch government to reduce its spending on social support and enables unemployed blue-collar workers to become an active part of the working population. Manar received a €120.000 investment last year to kick-start the business. As part of the program, RF will hold Boost Sundays almost every week during February, March and April, during which newcomer entrepreneurs, student consultants and business coaches all come together to work on the entrepreneurs’ ideas. We also hold workshops on a weekly basis, as well as other events with corporate partners and other parties. Should you be interested in attending an event on any occasion, contact info@refugeesforward.org. For live updates on what RF is up to, follow them on Facebook, Instagram and LinkedIn.